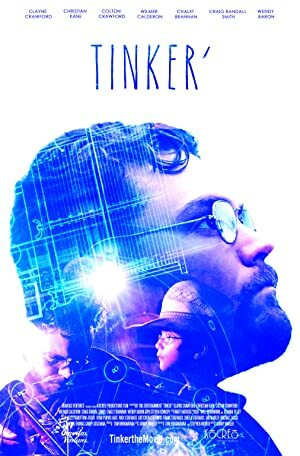 Tinker’ (2018) – What's New on Netflix Canada Today! Grady Lee Jr. is a struggling reclusive farmer who has never wanted to be married or have children. He lost his mom when he was a young boy and by the time he was 13, his father and step-mom died in a car wreck separating him from his stepsister, Marry Ann. Randy, his father’s best friend, took Grady in and raised him as his own and kept the family farm sustained. One day, Grady discovers his late father’s hidden journal That contained secrets of Nikola Tesla. The journal contains the plans to a machine that works off of electro-magnetism, called Jack. Grady believes it could increase productivity by drastically reducing the time it takes a plant to grow. This could be the answer to saving his farm and helping the county, when in fact this could change the world. With the help of his friend, Boudreaux, they begin to work on the device. Boudreaux, of Native American decent, can sense a change is coming for Grady’s.